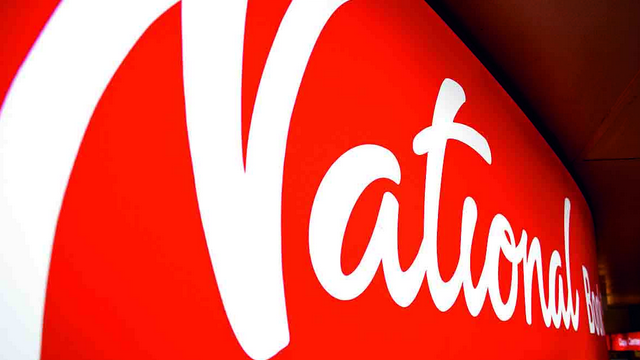 Get to know National Bookstore's interesting and inspiring story. How National Book Store (NBS) evolved as a brand and corporate name is an interesting case of non-marketing. Many marketing experts would not consider it a purposive branding effort. Some might even dismiss it as simply a branding anomaly that worked. That could be because the company’s founders picked “national” as a brand because it just happened to be there when they needed one. In this sense, it is an accidental brand that somehow just lived up to the ambitious promise of its name. No marketing researches, no gimmicks, no expensive media blitzes went into the brand or the business. She and her husband, Jose Ramos, did not even have a business plan, and neither did they think they were doing a branding activity at all. They just wanted to sell books and greeting cards at the lowest price possible, and up to this day Nanay Coring—as her employees fondly call—still insists that NBS is still very much the family sari-sari store that she began with. How NBS achieved market leadership and top-of-mind recall as the country’s “national bookstore” is a hard-knocks business success story, one that marketing academicians and business-school-educated entrepreneurs would find unbelievable. And it is a story that mirrors in many ways the unwavering drive, perseverance, and temperament of the company’s founders, particularly Nanay Coring. Nanay Coring, who was born to a poor family, is a salesperson through and through. When she was young, she would sell just about anything during summer vacations to raise money for her school notebooks and snacks. She grew up literally selling, and by the age of 18 already got herself employed as a salesgirl by the Goodwill Bookstore along old Azcarraga St. (now Claro M. Recto Avenue) in Manila. That store was owned by the book-selling Ramos family, and as things turned out, it was there that she would meet her future husband, Jose Ramos, whom she married in 1942. In the middle of World War II, during which the Philippines was under Japanese occupation, the newlyweds decided to go on their own. With a startup capital of P211 (equivalent to about P15,047 in current pesos when adjusted for inflation), they rented a small corner space in a haberdashery store at the foot of the Escolta Bridge in Sta. Cruz, Manila. They built their first retail bookshop there, selling books as well as soap, candies, and slippers. Practically just a small hole off the sidewalk, the store would look like a poor cousin of today’s typical NBS outlet, but it prospered. Unfortunately, the store got burned down when the American-Filipino forces liberated Manila in 1945. The Ramos couple then rebuilt it, but a strong typhoon knocked it down not long after, turning all of their stocks into pulp. Undiscouraged, the Ramos couple rebuilt the store again, but this time in another location: a vacant lot in Soler Street several city blocks away. They actually wanted a place with better foot traffic but still didn’t have the money for it. But by the early 1960s they were able to save enough, so they bought a much-coveted vacant lot along Rizal Avenue, just across Soler St. in what was then Manila’s busiest commercial district. There, in 1963, they constructed a nine-story building that became National Book Store’s first real home. In the next several years, NBS got enough capital to diversify into the reprinting of foreign-made greeting cards for the Philippine market. It first carried the popular Gibson line of greeting cards, but lost the importing rights after carrying it for a few years. Not one to cry over it, the Ramos couple took the setback as an opportunity to bid for the franchise of another global greeting card brand, Hallmark, which at that time had become the market leader. They were actually the underdogs because a more established company also bid for the same franchise. 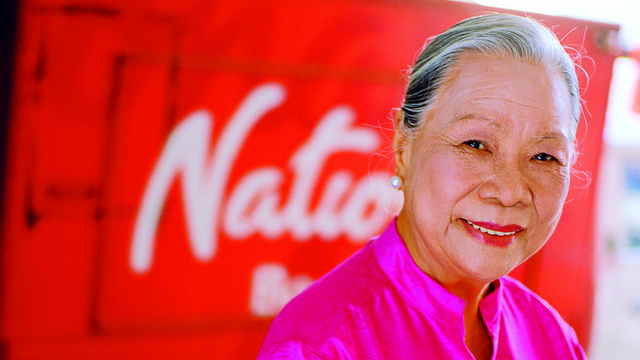 With grit and persistence, however, Nanay Coring outbid the competitor and got the Hallmark franchise in 1973. In the next three decades, NBS grew to a point that the Ramos couple didn’t bother anymore to advertise or promote their stores. The word-of-mouth reputation of the company’s fast-growing branch network was enough. This time, companies building new malls and major residential subdivisions would go to the Ramoses to invite them to set up new branches—not the Ramoses going to them to propose the idea. Finally gone were the days when Nanay Coring, by her own recollection, had to walk the streets all by her lonesome and beg customers to buy her merchandise. In 1988, in fact, NBS made it to the roster of the top 100 Philippine corporations, with profits of $1 million on gross revenues of $34.7 million. By 2004, the company had grown to a point that it ranked 308th in the Retail Asia-Pacific Top 500, a list that includes the 14 national economies in the region. Today, NBS is firmly in control of 80 percent of the Philippine book market. It is currently operating 127 branches nationwide and Metrobooks, a Hong Kong-based subsidiary store that opened in Hong Kong in 2007. Without sophisticated business and marketing plans as well as aggressive advertising and promotions, what made it possible for National Book Store to become a runaway success? One of the company’s strategies for bringing down prices is to approach publishers directly, even those overseas, and negotiate either better wholesale prices or permission to reprint their titles in the Philippines. Under this arrangement, for instance, NBS was able to sell 75,000 copies of the worldwide bestseller The Da Vinci Code in just six months, and this sales volume has further grown to 150,000 copies as of this writing—the biggest sales of the title by any country in Southeast Asia. That unmarketing-like remark would dismay brand managers and designers, and the Ramos couple’s children must have reacted the same way when their mother said as much when they proposed in 1996 to change the NBS logo. The company had by then become a family corporation, and the Ramos children and grandchildren thought it was time for the logo to have a more modern look. Nanay Coring laughs as she recollects the retirement of her self-designed logo, and her laugh has that unmistakable sound of someone who knows better. Who, after all, can argue with success?